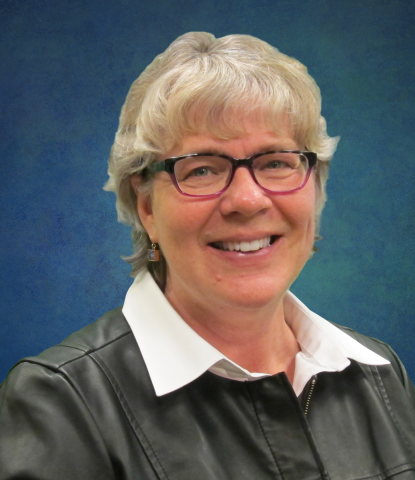 NAPERVILLE, ILLINOIS – February 8, 2019 – After 22 years of working at the Naperville Public Library, Executive Director Julie Rothenfluh announced that she will retire in June. Rothenfluh, who has worked for the library since 1997, served as Executive Director for the last six years. "I never expected to be here for 22 years, but it was such a tremendous place to work," she said. "This is an amazing organization with an amazing staff." In her time as Executive Director, Rothenfluh oversaw $5 million in renovations to all three library buildings. In addition to new furniture and modern amenities, the library added a Teen Space, Green Screen Room, Sound Recording Studio and the business services start-up and co-working space, NaperLaunch. As the library entered the digital age, under Rothenfluh's leadership, the library stayed up-to-date with cutting edge technology like 3D Printers and VR Headsets and expanded its digital collection and databases. More programs for adults and children were also added, including the popular Harry Potter-themed "The Party That Shall Not Be Named" and "Star Wars Reads Day," two events that draw thousands of people each year. She also sought after and developed partnerships with organizations like the Naperville Park District, Naper Settlement, DuPage Children's Museum, Naperville school districts and local businesses. "The library is not a standalone institution and it's essential for us to be involved in the community," Rothenfluh said. In 2017, the library was named an "All-Time All-Star" by the Library Journal for being one of 13 libraries to earn a five-star rating for ten consecutive years. In her tenure at the library, Rothenfluh served as Deputy Director, 95th St. Library Manager, Children's Services Supervisor and Assistant Department Head. Prior to coming to Naperville, Rothenfluh worked in the Los Angeles, Fresno and Kern County Public Libraries in California, and as Head of Children's Services at Superior Public Library in Superior, Wisconsin. She graduated from the University of wisconsin with a Master's In Library Information Science. As one of nine children growing up in Sturgeon Bay, Wisconsin, Rothenfluh first fell in love with the library when her father took the family there on weekend trips. Her father – who read seven books a week despite working two jobs – was the foundation for her future career. "I have a family that is big on reading and the library has always been a part of our life," she said. "When my mom told me I should become a librarian, I said, 'Yep, that's probably true!'" Nina Menis, Naperville Public Library Board President, says "the Naperville Library Board of Trustees is grateful to Julie for her outstanding leadership and service to our community. She deeply values education and literacy and has continued, in partnership with her team, to maintain and strengthen the position of the Naperville Public Library as a nationally recognized leader. This was built through creative and innovative thinking; inclusive programs and services; and a commitment to partnerships, training, and development. She will be remembered as a strategic leader and an innovative community partner." "The Naperville Library Board of Trustees has developed a succession plan and will work with the Naperville Public Library Human Resources Manager, Sue Ashe, and HR Source to finalize the plan and conduct a national Executive Director Search for the Naperville Public Library," states Menis. "You get to a point in your career and life where you feel, 'I've done everything I can do here.'" Rothenfluh said. "I'm ready to move on and let people with new and different ideas take over. This is a great organization and it's full of good people who work hard and love this place."